The city of Mashhad in northeastern Iran was selected as the Asian capital of Islamic culture in 2017, and preparations are underway to introduce the culture of the holy city into the world. According to a Farsi report by the IRNA, the Islamic Educational, Scientific and Cultural Organization (ISESCO) each year selects the main cities of Islamic culture in different regions. Iran’s Mashhad was chosen as capital in 2017. Reza Salehi Amiri, the Iranian Minister of Culture and Islamic Leadership, announced that the preparations for the Islamic culture in Mashhad have officially begun. The ceremony takes place on 24 January in the presence of foreign authorities. “This is an opportunity to introduce the Razavi culture – the legacy of Imam Reza, the eighth Imam of the Shiites – to the world,” he noted in a meeting with the Iranian leader in Mashhad Ayatollah Ahmad Alamolhoda. “If the world wants safety, Mashhad is the safest place of the world in 2017. All Muslims can travel to this Iranian city,” he added. “We have invited the leaders of the various Islamic sects to Mashhad for communication, interaction and unification,” he added, adding that the event in Iran will be presented with a focus on Mashhad. He went on to say that festivals, conferences and ceremonies were to be held. 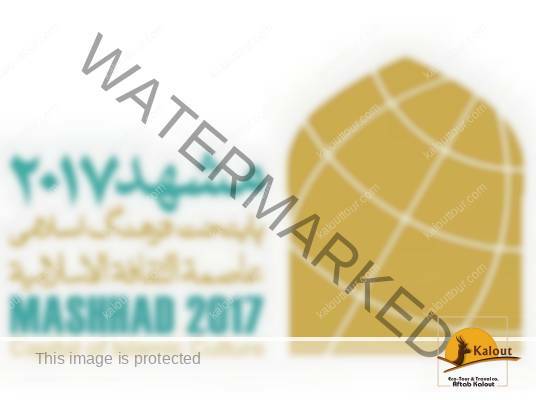 The logo of Mashhad 2017 will be shown during interim games. Plus, boards at the entrance of the cities and venues will inform the people of the Islamic Culture Capital event. He referred to the revival of the ancient Khorasan school among the aims of this event, saying that Iranians should find a new Islamic civilization on this geographic, historical point, as there has been no new civilization after the Safavid dynasty.